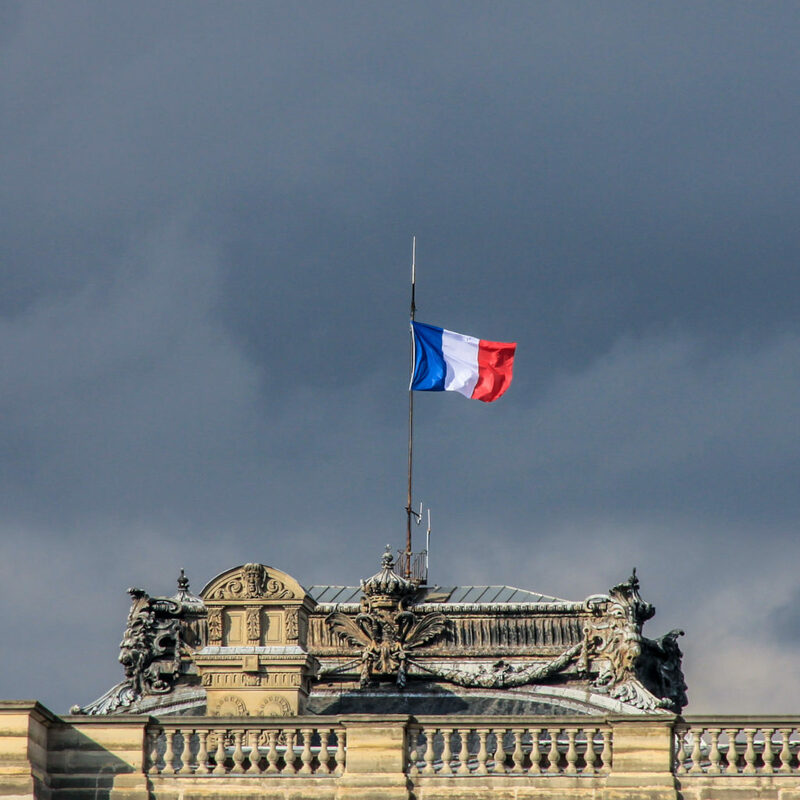 Drop any ill-informed tourist in the center of Paris and they will feel a dizzying sense of isolation. Logic quickly evaporates once you are set adrift amongst the spiraling curved streets and ornate boulevards. Unlike the easy geometry of Manhattan’s streets, or the detailed freeways of Los Angeles, Paris remains a mesmerizing labyrinth the outsider must navigate. 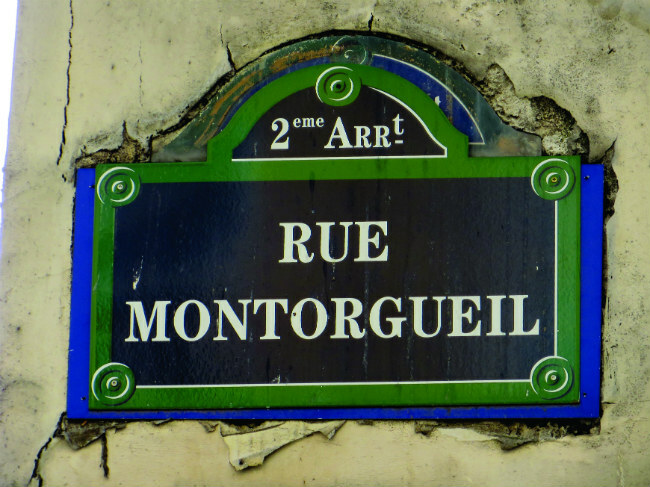 For the savvy wanderer ready to brave the clandestine roads of Paris, we present today’s street of the week – la rue Montorgueil. This lovely pedestrian passage is lined with some of the most unique restaurants, cafes, boulangeries, poissonneries, fromageries, wine outlets, and boutique flower shops the city has to offer. Located in the smallest of all arrondissements in Paris, the 2nd, la rue Montorgueil is paved with tiles of white marble and stone stretching south from the grand ‘belly’ of Les Halles, Paris’ underground shopping mall (constantly under construction) and towards the Sentier Metro (Line 3) off rue Réaumur. Mozart choose to hold his mother’s funeral. 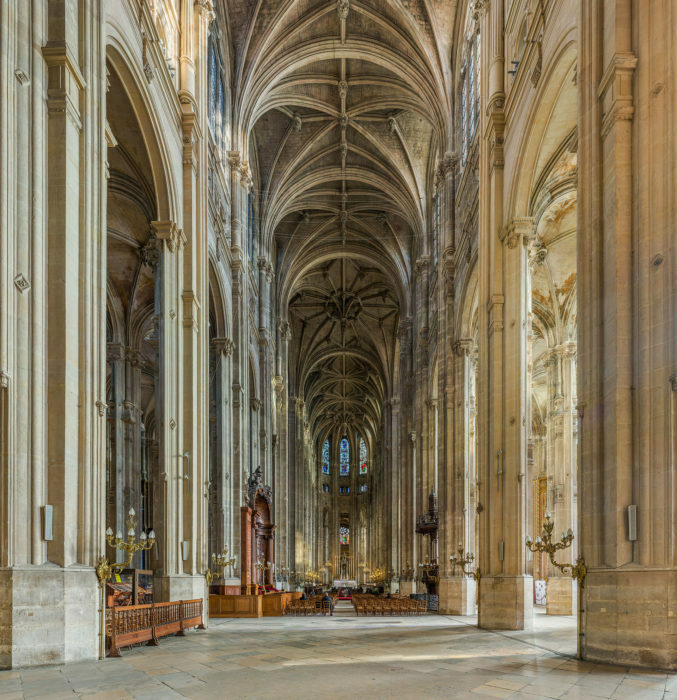 The church also houses the largest pipe organ in all of France (8,000 pipes alone). 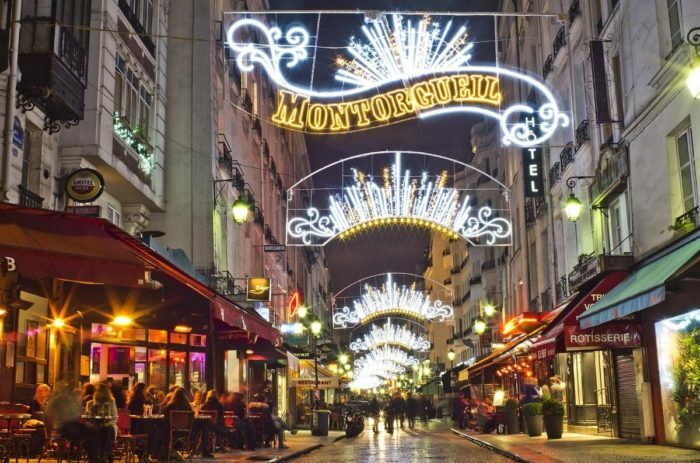 After marveling this majestic site, head north on la rue Montorgueil. After dodging the the busy pedestrian traffic, notice on your left at No. 51 Paris’s oldest bakery, Patisserie Stohrer, established in 1730 to “prepare the King’s pleasures” (that’s Louis the 15th). The classic French dessert, the baba au rhum, was invented here at the behest of the King. The dessert is simple in its design, created in 1835, and modified from the Polish/Ukrainian pastry called babka. The dessert is a tall, cylindrical yeast cake, soaked in dried fruits and rum, and filled with a rich pastry cream. This isn’t the only lavishly decadent item sold in the colorful window displays at Patisserie Stohrer – there’s plenty of savory tourtes and gratins sold by the wedge to keep you satiated for a pedestrian afternoon. The 2nd arrondissement is also home to a curious, specifically French, version of the indoor mall – the commercial arcades. Outdoor markets and street fairs were a common site in 19th century Paris. However, due to the wet and rainy weather cycles most of the year, entrepreneurs in the 1800’s mutually decided to construct indoor malls for commercial activity. One of the first is the Passages des Panoramas. Bazaars and souks from the Orient invented these kinds of pedestrian malls, but the French added a glazed glass structures to let the light in – eventually adding gas light fixtures in 1815 to illuminate the commercial activity below. One of the first is the Passages des Panoramas. The Parisian streets in the 1800’s were narrow and muddy and no place to service high-end markets. These glazed pedestrian passages created a regal, clean, and controlled area for merchants to share their goods. Soon, restaurants and cafes moved in. The Passage des Panoramas was the first of these glazed palladiums. Two dozen of these commercial malls still exist today in Paris – a wonderful idea for a leisurely stroll through history. 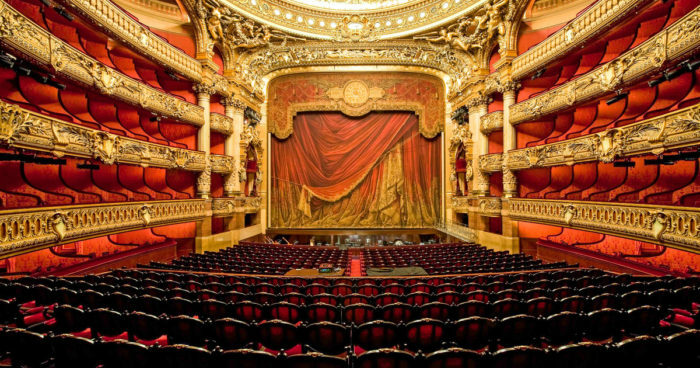 Another gorgeous feature to explore in the 2nd arrondissement is the Palais Garnier, 1,979 seat opera house, built in 1861 to house the Paris opera and ballet. The structure itself combines the styles of the Baroque period, the classicism of the Pallidio, and aspects Renaissance architecture. 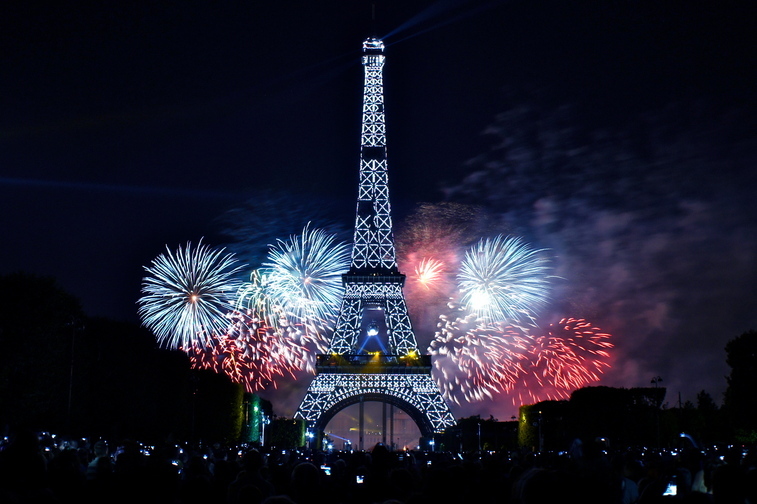 Ranking as one of the must-see sites along with The Louvre and The Notre Dame, the Palais Garnier has inspired other architectural marvels, including the Thomas Jefferson Building in the Library of Congress in Washington, D.C. to several opera houses in Poland, Brazil, Vietnam and the Ukraine. Travel with us through the maze of Paris’s enchanting boulevards in the next installment of Paris: Street by Street.